It sounds like one of those motivational Pinterest sayings, doesn't it? I feel like it should be written on a muted background with swirly flowers and butterflies all around it. But the thing is, sometimes those slightly annoying sayings have a bit of truth to them. I have been thinking about this quote because my son graduates from high school in a few weeks and he turns eighteen in the fall. I went up in the attic yesterday. My son's childhood is in that attic. There is the crib he slept in--and apparently used as a teething ring going by the tooth marks on the spindles. I still remember walking in to get him up from a nap when he was about 1 1/2 and finding him gleefully sitting on his ride-on toy. Inside his crib. He had somehow managed to figure out how to get it off the floor and into his crib without ever getting out of his crib. He was so proud of himself. The attic holds boxes and boxes of Matchbox cars. Plus, there is the rug with roads and buildings marked on it that spent years in his room. He and his dad spent hours on the floor playing cars. I have two bins of baby clothes and handmade blankets I can't bear to get rid of. The outfits my kids came home from the hospital in, their favorite blankets. How long do you hold on to these things? His favorite stuffed toys are up there. Ernie, from Sesame Street, was especially beloved. He would chew on Ernie's nose whenever he was worried. Thomas the Tank Engine is there too with all of his track and so many other engines. I got remarkably good at building tracks quickly that incorporated all the vital pieces. Of course, then he would pull them all apart and want me to start again, and again, and again. Eventually, he was building tracks for his sister to play with and she was pulling them apart over and over. The attic is littered with children's books. Where the Wild Things Are, The Very Hungry Caterpillar, Winnie-the-Pooh, The Monster at the End of This Book. Sometimes the days with him were long. There were the nights we put him back to bed five million times before he finally stayed. There were the days when it felt like the questions would never end. There were the days (years?) when all he did was argue. But it feels like just yesterday that we played with those cars, read those stories, cuddled with him under those blankets. 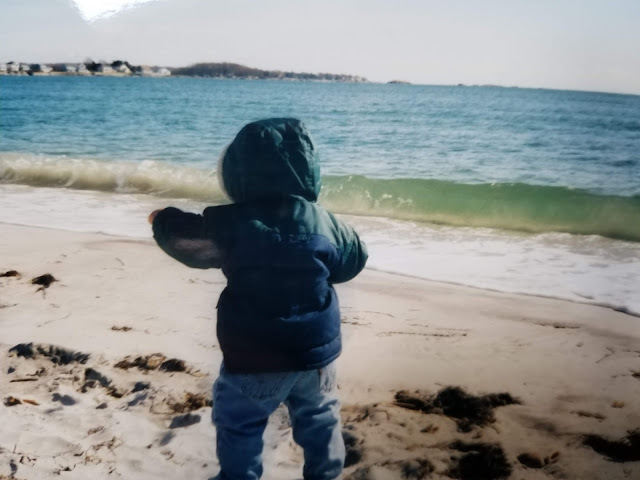 Now he is graduating and almost eighteen and I know that one day I will look back at this stage in his life just as nostalgically. For now, I save those toy cars, stack those children's books, and refold the blankets. Because the days were long but the years are short. You write so beautifully, Jennifer. I'm 65 and I just got rid of some of my childhood toys. After my parents died and my sister and I were forced to clean out the house we grew up in, I packed the toys and books away. It was hard to part with some things. I felt they should be buried rather than thrown in the trash, but they were much loved and showed it. I saved the stuffed animals my mother made for me, as well as a few other things. I decided fond memories were enough. Thank you, that is so nice of you. It is hard to let go of things sometimes, isn't it? That is why I have an attic full of stuff! I think childhood things can be some of the hardest to get rid of. Well I still have a suitcase of favourite baby/toddler clothes, stuffed toys, books, cars, a wooden fort, cot and pram - and my 'boys' are 32 and 30. One day I might be able to pass them on to a grandchild, but I'm not holding my breath! I am keeping some things for possible future grandchildren. Hopefully, a lot of years in the future! I feel like it was just yesterday that my son was as small as yours is now.